Getting there by sea involves getting a ferry from mainland Spain or one of the neighbouring islands. Ferries depart from Barcelona (north of Ibiza) and Valencia and Denia (from the west). The majority of ferries dock at Ibiza port in the south, though you can also sail (less frequently) to San Antonio port in the North west. 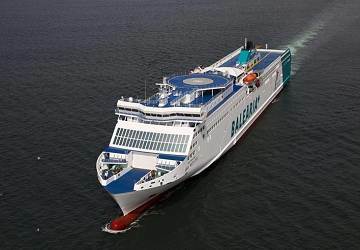 Crossings generally take between four and nine hours depending on the route and are operated year round by both Balearia and Acciona Trasmediterranea with increased frequency during high season. All in all, Ibiza is a very well connected island, perfect as a holiday destination in itself or a wonderful place to stop off for a few days if you’re in Spain or touring the Balearic Islands.